In another article, we wrote about the difference between Wi-Fi and Mobile broadband, and how the word “Wireless” can confuse the two. It’s important to know the distinction, especially when calling service providers to connect a new service. 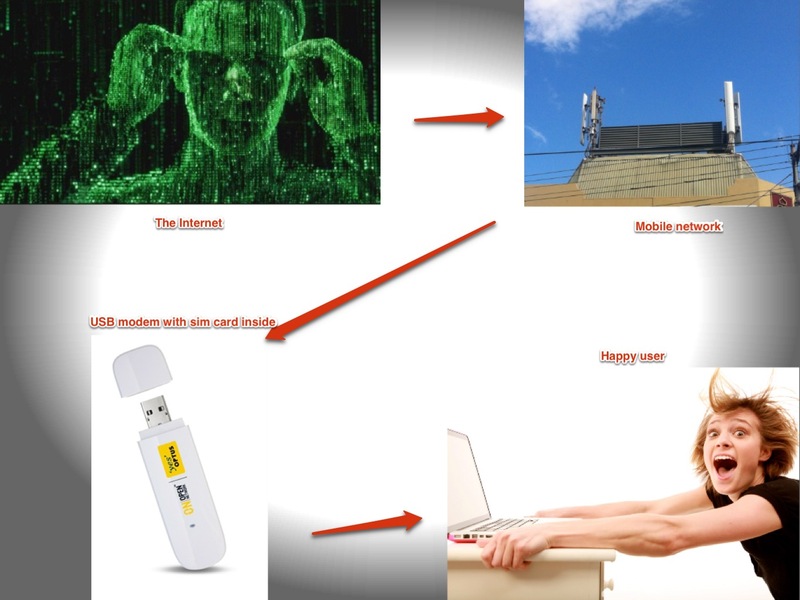 The internet is carried directly through the mobile network (the same network that carries mobile phone calls) and goes to a USB stick, which plugs into the computer. So in this case, the actual connection to the internet is wireless. You can use the internet wherever you have networkcoverage. 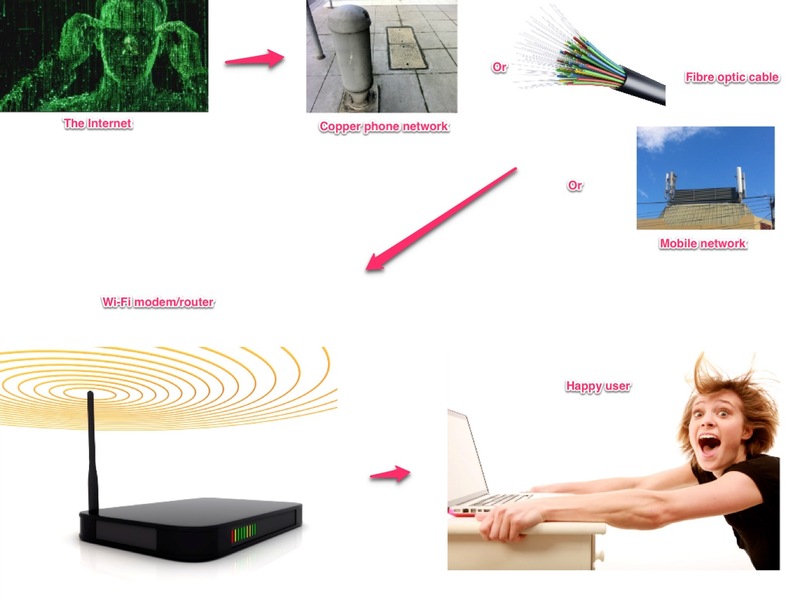 The internet connection is carried to your home via the phone network, a fibre optic cable network, or even via the mobile network (as above). But then it gets to a modem/router, which uses Wi-Fi technology to wirelessly transmit your connection to your computer. So in this case, the connection to your modem is wireless, but the connection to the internet is via a fixed line (or a fully mobile connection). Again- Wi-Fi is a feature of your modem. It is wireless only up to about 50 feet. 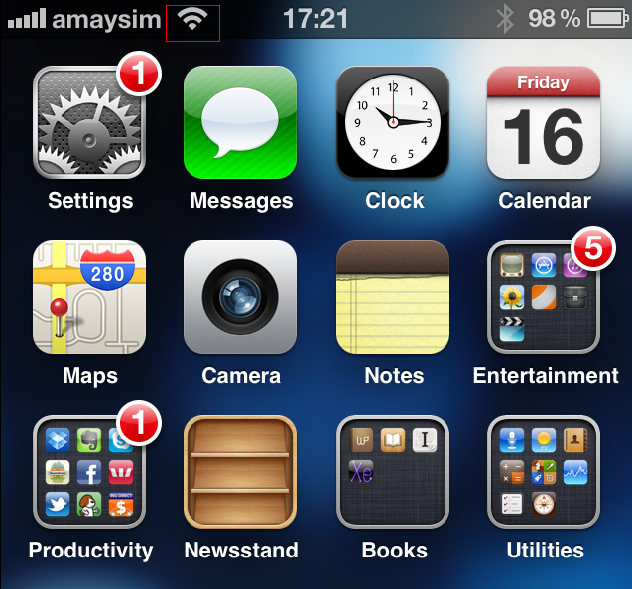 Mobile Broadband is a direct wireless feed to the internet. Using Mobile Broadband is like filling a glass from a sprinkler. The actual water source comes over the air. Using Wi-Fi is like filling a glass from your tap. The water is piped in directly to your home, and only has to ‘jump’ to your glass a very short way, from the tap to your glass. The metaphor is apt for a few other reasons. Filling a glass from a sprinkler is difficult – some water goes to ground. Some gets evaporated. A lot of it goes to other people under the sprinkler. That’s kind of the way mobile broadband is limited. It’s expensive and difficult to get lots of water to many glasses when distributing it via a sprinkler. But it’s cheap and easy to deliver plenty of piped water. Same with broadband – data that is piped in is more plentiful. Like may technologies, Wi-Fi is defined and developed by an international trade association, called the Wi-Fi alliance. It is linked to the Institute of Electrical and Electronic Engineers (IEEE), a US body that sets electronic standards of all descriptions, that most of the rest of the world aligns itself with. The standard for Wi-Fi is catalogued by the IEEE under standard 802.11. When you buy a router or compatible device (like a laptop, tablet, phone or printer), you may notice that one of the sale points is that it is 802.11n compatible. The letter on the end refers to different revisions of the standard, for better speed and distance. 802.11n has been around since 2009, and has a range of about 70m before it stops dead. When boosted over an outdoor network (with no line-of-sight interference), it can maintain signal over 250m. 802.11g, the previous standard, could accomplish half of that. The next proposed standard, currently in testing, will be able to stream a lot more data in different channels, but now we’re getting ahead of ourselves. But wait, this is all radio waves – why is there a difference? This is a really good question. There are big similarities in terms of how the technology works, but there are big differences in how they’re applied. When you connect via 3G/4G/Mobile broadband, you’re at the mercy of buildings, weather, walls and the power and range of a network. When you connect via Wi-Fi, the only real disruptions can come from whatever is between you and your modem (and portable phone handsets, which run on the same frequency). Mobile networks are moving towards becoming more Wi-Fi – ish, to increase stability. So instead of connecting to a tower, which connects to another tower, and then another, and then another (imagine a sprinkler being fed by another sprinkler), you’d connect to a tower that has a fibre-optic connection back to a network at the base of the tower. So the tower is, in effect, like a big Wi-Fi network. This is already employed, to some degree. So when you’re shopping for a new internet plan, make sure you’re using the right term. (NOTE – THIS NEXT PART IS OPINION ONLY) Most companies would like to pretend that there’s only THE INTERNET and that all ways of connecting to it are equal. If you ask for wireless, you may start down a road for a connection that is, per megabyte, far more expensive and usually less stable. It’s good to keep educated and to be specific, so that you can better get what you want. Or, call us on 1300 106 571 for details on TPG and Internode plans.